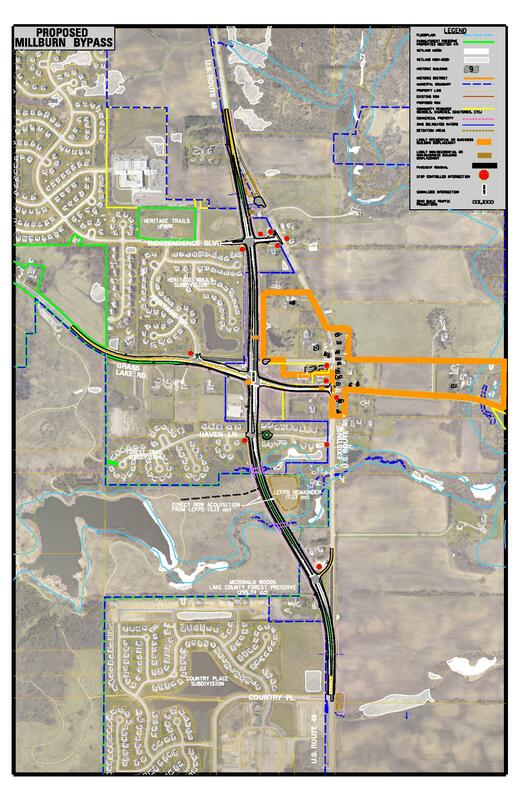 IDOT District 1 Design Approval received on December 18, 2013. The Project is proceeding into Phase 2 Engineering. This project entails the Phase I study of improvements on U.S. Route 45 between IL 132 and IL 173, with special focus on the Grass Lake Road and Millburn Road intersections in the vicinity of the Millburn Historic District. Based on the results of this Phase I Study, likely ultimate improvements to U.S. Route 45 from IL 132 to IL 173 have been identified, and a west bypass of the Millburn Historic District has been chosen for the Grass Lake Road/Millburn Road intersection area for subsequent plan development and construction.